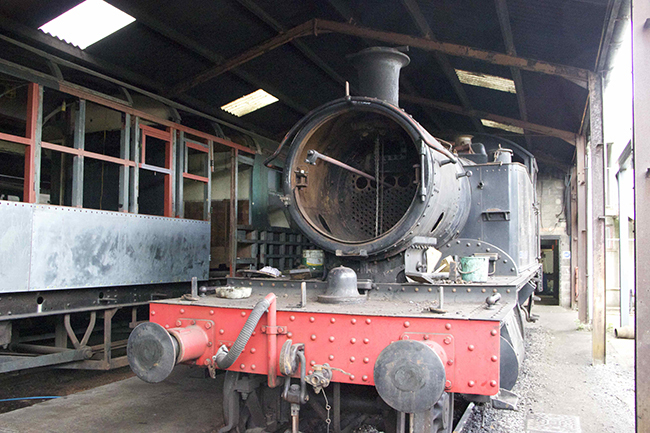 Work has started on the overhaul of 2-6-2T No 5526, following its impromptu appearance as 3803’s tender. 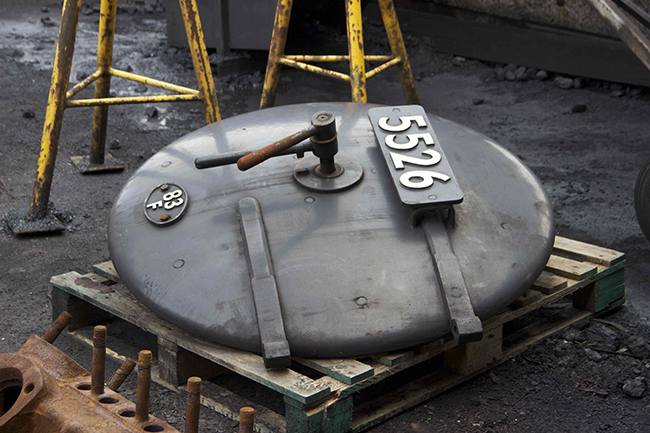 Its smokebox door has been removed, and work is under way to prepare for the removal of tubes, and get the boiler ready for lifting out of the frames. This is being done as and when volunteers are available so that other work is not affected. 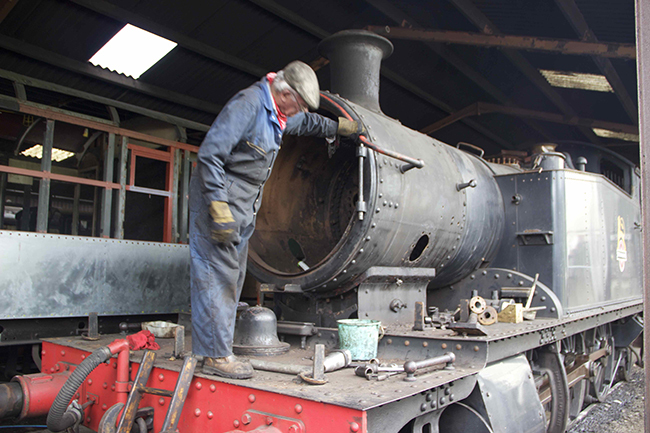 Alan Smith is seen standing on the running plate of the locomotive on Thursday 15th August 2013. 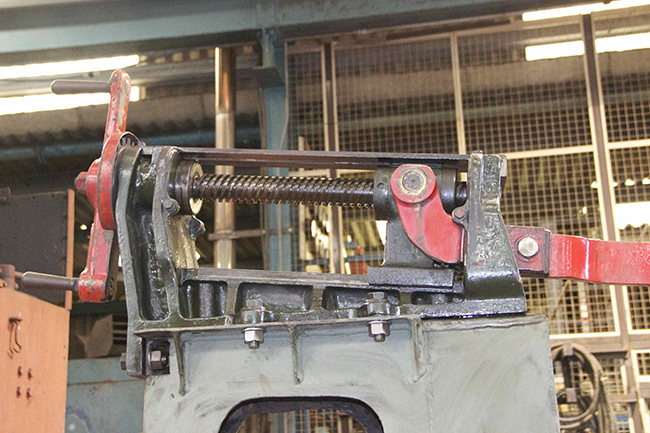 Work continues on 6412, and the photo shows the reversing mechanism installed on the frames.